Glenn began his comedy career in his hometown of Vancouver in 1995. He moved to London in 1998 and quickly became one of the rising stars of the London and international comedy circuit having performed in Australia, New Zealand, The USA, South Africa, Switzerland, France, Croatia and Arabia. Glenn was nominated for Best International Stand Up at The New Zealand Comedy Awards and Best Headliner at the Chortle Awards In recent years Glenn has hit the International circuit in a big way, performing to huge crowds in Singapore, Holland, Dubai, New York and Los Angeles where he is currently living. He's also a popular addition to many of the great Summer music Festivals in the UK, including Reading & Leeds, Latitude, Bestival, Download and of course Glastonbury. Glenn is a regular TV face having made appearances on Russell Howards Good News, Never Mind The Buzzcocks, The BBC Stand Up Show, The Live Floor Show, 28 Acts in 28 Minutes and The Comic side of Seven Days for the BBC. The World Stands Up, Comedy Blue and Edinburgh and Beyond for Comedy Central, He continues to be a regular in Comedy Cuts, the comedy show from ITV2. Glenn also wrote and starred in What's The Story?' broadcast on Channel 4 as part of the Comedy Lab season. 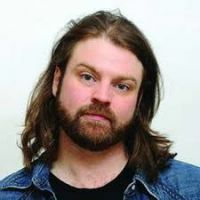 Radio is familiar to Glenn too having recently been in Political Animal and 28 Acts in 28 minutes for BBC Radio 4 as well as headlining 4 at the Store (R4) and The Late Night Comedy Show for Radio 1.